Classics Today 10/10; Penguin Guide Key recording; International Record Review: outstanding. Gathered on this disc are all of Grieg's works for string orchestra, together with Evening in the Mountains from Op. 68, which also features oboe and horn. All of them are the composer's own arrangements, of some of his most popular songs or piano pieces. At the time, they functioned as vehicles for Grieg himself as a conductor - the role he usually filled on his many international concert appearances. As other similar works from the same period, they weren't necessarily composed for small ensembles - in many cases the number of divisi parts presupposes a fairly large string orchestra in order to get a full sound. 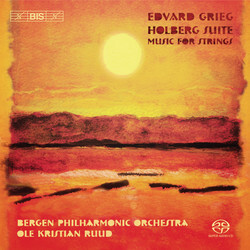 Here it is the strings of the Bergen Philharmonic Orchestra who amply fulfil any expectations that the orchestra's previous Grieg recordings will have given rise to: the full-bodied sound of a large orchestra's string section combined with the fleetness and rhythmic flexibility of a chamber ensemble. 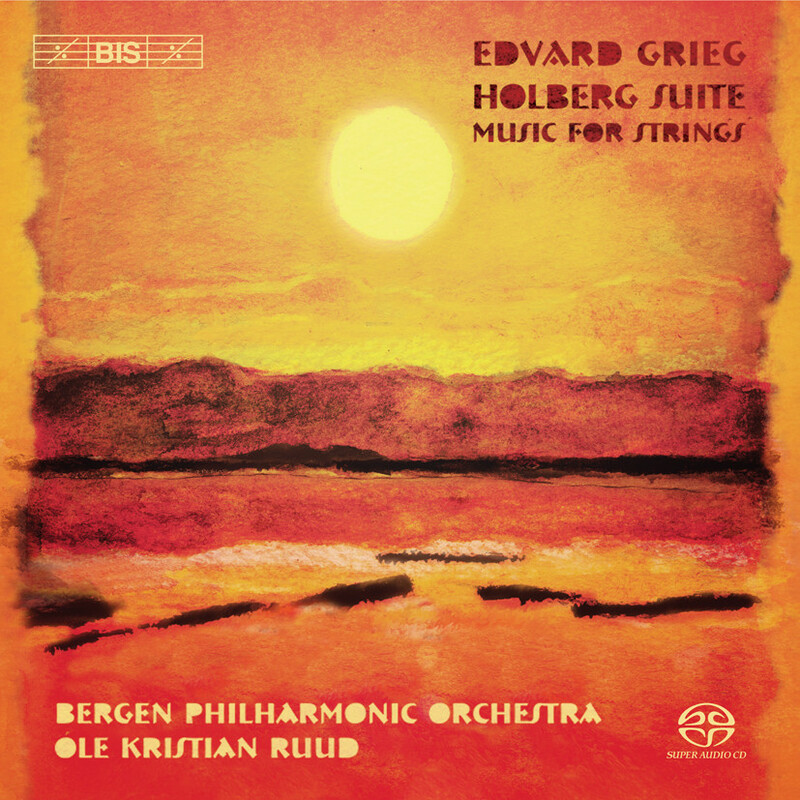 This is especially clear in movements such as the Rigaudon of the Holberg Suite, Grieg's paraphrase on the 18th century dance suite and one of his most well-loved pieces. About our recently released Peer Gynt, MusicWeb International wrote ‘these discs provide a wonderfully refreshing view of Grieg’s music, in fine idiomatic performances’ while Sigurd Jorsalfar, an earlier disc in the series, earned the following words from the reviewer from Classics Today.com: ‘I can't imagine finer interpretations than those offered by conductor Ole Kristian Ruud and a clearly energized Bergen Philharmonic.’ On this disc, Ole Kristian Ruud and the Bergen strings again give us performances that are as fresh as the dew on a Norwegian mountain top, while remaining firmly rooted in a Grieg tradition that no orchestra could know better than this one, Grieg's own.